Services are scheduled for 10 a.m. Wednesday, Dec. 2, at The Living Well Church for Patsy Ruth Thurman-Bartlett of Artesia. 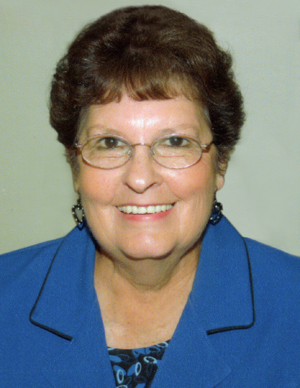 Bartlett, 74, passed away Saturday, Nov. 28, 2015, at San Pedro Nursing Center. Pastor Dan Mullins will officiate at the services, with interment to follow at the Hagerman Cemetery. Pallbearers will be Jerry Thurman, Kenny Thurman, Joseph Thurman, Terry Mann, David Thurman and John Thurman. Honorary pallbearers are Joel Thurman and Eric Bell. Bartlett was born Oct. 31, 1941, in Artesia, the daughter of Olen Thurman and Marian (DeWitt) Thurman. She was a lifelong Artesia resident. She was a homemaker and member of Church of God in Carlsbad. She was a former member of Church of God in Artesia before its closure. She enjoyed singing and painting, and she was always willing to give a helping hand to others. She loved spending time with her family, especially her grandchildren. Survivors include sons Boyd Bartlett and wife Desarae of Albuquerque, Brandon Bartlett of Carlsbad, and Hunter Bartlett of Austin, Texas; 12 grandchildren; six great-grandchildren; sisters Kathy Farrar of Artesia and Teresa Thurman of Dallas, Texas; brothers Junior Thurman and wife Vicki, Michael Thurman and wife Pam, and Joe Bob Thurman and wife Yvonne, all of Artesia; and sister-in-law Olivia Thurman of Artesia. She was preceded in death by her parents; her husband, Levy Bartlett; sons Keith Bartlett and Ronnie Bartlett; daughters Bonnie Bartlett and Rita Bartlett; and brother Donald Thurman.